A person who has already gained his PART 66 license would next seek for his first Aircraft Type Training and Certificate. Once he gains the above and the relevant experienced required for his first type, he can apply to the Competent Authority that has issued his license for an “Endorsement” on the license. The next step is the most natural and important – to be able to release the aircraft for maintenance work that has been performed on a component or the aircraft. A “Type Course” can normally be taught by a PART 147 organization and consists of the THEORETICAL and PRACTICAL Elements. This is detailed (Level III) training in Categories B1 and or B2 on the specific aircraft Airframe, Systems and Engines – NOTE that an aircraft might be manufactured with one, or two or more types of engines. The THEORETICAL Element consists of training and exams and is usually performed in an approved classroom. The duration could be anything from 20 to 45+ teaching days, depending on the aircraft type, number of different engines and the Category. Typical duration for IKAROS for the Airbus A320 family for Categories B1/B2 both engines, is 35 teaching days. The PRACTICAL Element consists of training and assessments. This normally takes place on the actual aircraft. 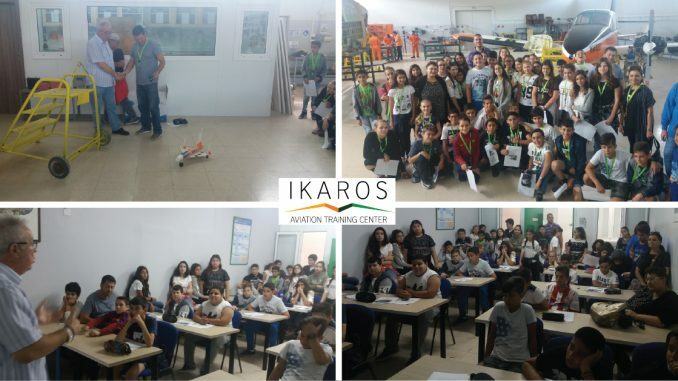 For the above aircraft type, IKAROS has allocated 12 training days. We anticipate to add 3 new types very soon…. Regulation Part 66 and its associated AMCs and GMs must always be consulted for currency and details to the above.